NICE is working to raise awareness on Capitol Hill of social solutions invented by citizens. If members of Congress are made more aware of what their constituents are doing to create replicatable social solutions in their districts, NICE believes many congressional members might be more likely to direct people to these most cost-effective and compassionate social programs rather than to the more costly government ones. We need your help to educate and make an impact on Congress! 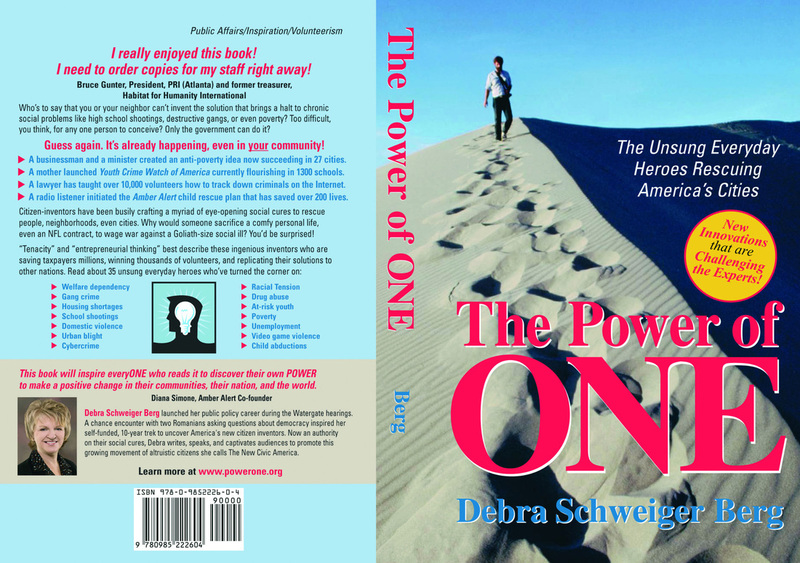 When you purchase a copy of The Power of One: The Unsung Heroes Rescuing America's Cities by Debra Berg, another author-signed copy of the book with a letter about this project will be sent, FREE, to the congressperson of your choice. If you decide not to designate a member of Congress, then we will select one congressperson at random for the donation. Your important purchase will open your eyes as to what citizens are successfully doing and, at the same time, raise important awareness in Congress of the highly effective citizen-inspired innovations that are giving self-reliance and independence to people across America each and every day. 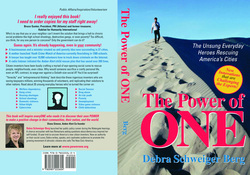 $25.00 will send an author-signed copy to you and to the congressional representative of your choice! programs. The article is authored by Adam Meyerson, former vice president of The Heritage Foundation and editor of Policy Review magazine. He is currently the president of the Philanthropy Roundtable.